Here are the slides and the video(s) from our Project b3 Research Study – Session 3 on Exercise for Mental Wellness. The LIVE class video is here (from Wed Feb 27). The ZOOM video where I go into some additional details is here (from Thurs Feb 28). Wunder is offering you a $20 discount on Summit Passes including a COMPLIMENTARY pass to the Wellness & Beauty Expo ! 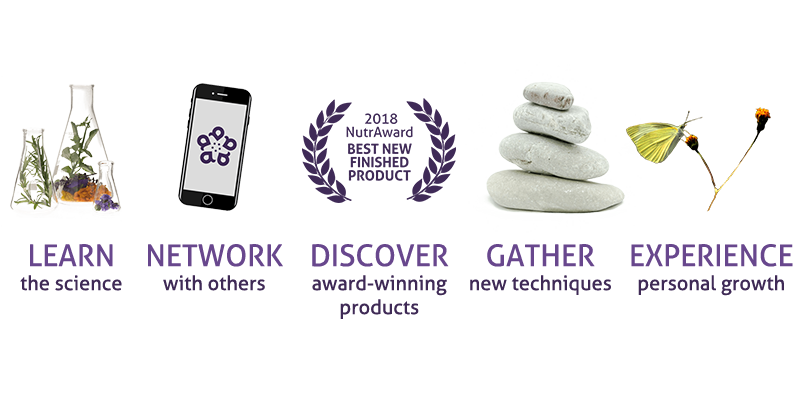 Use code SPEAKERFRIEND2019 at check out. I am pleased to announce that I will be speaking at The Gut Check Summit + Wunder Life Wellness & Beauty Expo on April 6th in Fort Collins at The Lincoln Center. The Wellness & Beauty Expo will be a spectacular EXPERIENCE full of practitioners and conscious brands sharing a beautiful market with complimentary SPA SERVICES, WELLNESS TREATMENTS, ORGANIC + CLEAN FOODS, FUNCTIONAL HEALTH & WELLNESS PRODUCTSand inspiring PANELS with health experts & thought leaders. Because you are special to me, Wunder is offering you a $20 discount on Summit Passes including a COMPLIMENTARY pass to the Wellness & Beauty Expo! Use code SPEAKERFRIEND2019 at check out. Expo Only Passes are $10 before and $15 at the door. Enjoy GIVEAWAYS, SAMPLES + INSPIRATION! Join me April 6th at the Lincoln Center. Vancouver, We’ll See You Soon! Your mental health is not just in your head ― it’s in your gut too! 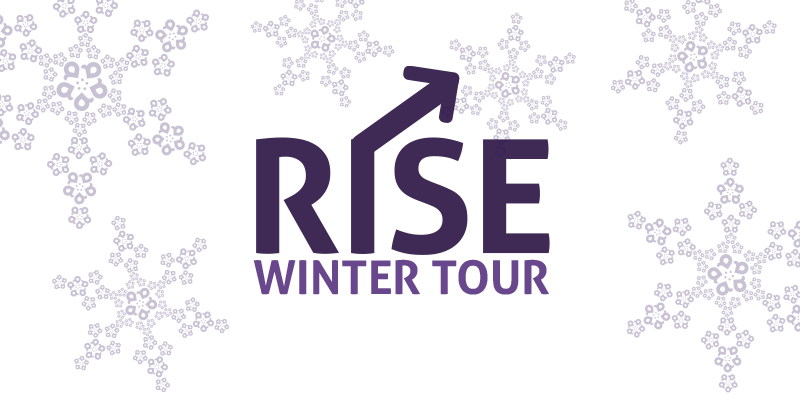 Join us at our Winter Rise Tour event to learn more! This session covered both the “Epidemic of Epidemics” that we are facing (loneliness + mental wellness problems + obesity/diabetes = perfect storm), and the main topic of how “body” issues (weight, belly fat, metabolism) are related to “brain” issues (stress, depression, anxiety, cravings, willpower, motivation), and how those issues are related to “biome” issues (microbiome balance, gut integrity, etc). Nashville, We’ll See You Soon! Key PointsQuestion Does physical activity have a potential causal role in reducing risk for depression? Findings In this 2-sample mendelian randomization study using genetic instruments from large-scale genome-wide association studies to support potential causal inference, higher levels of physical activity (indexed by objective accelerometer data) were linked to reduced odds for major depression. Meaning Findings strengthen empirical support for physical activity as an effective prevention strategy for depression. Importance Increasing evidence shows that physical activity is associated with reduced risk for depression, pointing to a potential modifiable target for prevention. However, the causality and direction of this association are not clear; physical activity may protect against depression, and/or depression may result in decreased physical activity. Objective To examine bidirectional relationships between physical activity and depression using a genetically informed method for assessing potential causal inference. Design, Setting, and Participants This 2-sample mendelian randomization (MR) used independent top genetic variants associated with 2 physical activity phenotypes—self-reported (n = 377 234) and objective accelerometer-based (n = 91 084)—and with major depressive disorder (MDD) (n = 143 265) as genetic instruments from the largest available, nonoverlapping genome-wide association studies (GWAS). GWAS were previously conducted in diverse observational cohorts, including the UK Biobank (for physical activity) and participating studies in the Psychiatric Genomics Consortium (for MDD) among adults of European ancestry. Mendelian randomization estimates from each genetic instrument were combined using inverse variance weighted meta-analysis, with alternate methods (eg, weighted median, MR Egger, MR–Pleiotropy Residual Sum and Outlier [PRESSO]) and multiple sensitivity analyses to assess horizontal pleiotropy and remove outliers. Data were analyzed from May 10 through July 31, 2018. Main Outcomes and Measures MDD and physical activity. Results GWAS summary data were available for a combined sample size of 611 583 adult participants. Mendelian randomization evidence suggested a protective relationship between accelerometer-based activity and MDD (odds ratio [OR], 0.74 for MDD per 1-SD increase in mean acceleration; 95% CI, 0.59-0.92; P = .006). In contrast, there was no statistically significant relationship between MDD and accelerometer-based activity (β = −0.08 in mean acceleration per MDD vs control status; 95% CI, −0.47 to 0.32; P = .70). Furthermore, there was no significant relationship between self-reported activity and MDD (OR, 1.28 for MDD per 1-SD increase in metabolic-equivalent minutes of reported moderate-to-vigorous activity; 95% CI, 0.57-3.37; P = .48), or between MDD and self-reported activity (β = 0.02 per MDD in standardized metabolic-equivalent minutes of reported moderate-to-vigorous activity per MDD vs control status; 95% CI, −0.008 to 0.05; P = .15). Conclusions and Relevance Using genetic instruments identified from large-scale GWAS, robust evidence supports a protective relationship between objectively assessed—but not self-reported—physical activity and the risk for MDD. Findings point to the importance of objective measurement of physical activity in epidemiologic studies of mental health and support the hypothesis that enhancing physical activity may be an effective prevention strategy for depression. Depression is a common psychiatric condition that represents a leading cause of disability worldwide.1 Despite this, efforts to prevent depression have been challenging, with few established protective factors, particularly modifiable targets for prevention. One promising target is physical activity, defined broadly as musculoskeletal movement resulting in energy expenditure.2 The relationship between physical activity and depression has received much attention in recent years. For example, meta-analytic data from randomized clinical trials3 have suggested that physical activity is linked to reduced depressive symptoms in at-risk populations, and prospective studies4,5 have demonstrated associations between higher levels of physical activity and decreased risk for later depression. Although such findings point to a potential protective role of physical activity for depression, several questions remain. First, does physical activity causally influence risk for depression—or is this better explained by reverse causation? Some studies6,7 show that depression may also lead to reduced physical activity, but few studies have simultaneously tested both directional relationships. Second, does measurement of physical activity matter? Literature to date has relied mostly on self-reported measures of activity,5 which may be subject to confounding by participant mood, memory inaccuracy, and social desirability bias.8 Third, does the relationship between physical activity and depression persist when potential confounding is minimized? Although randomized clinical trials minimize confounding from unaccounted variables by design, they are intensive to conduct and have been of relatively limited size, with a mean of fewer than 60 participants per trial.3,9,10 More critically, randomized clinical trials have focused on treating symptoms in depressed individuals rather than testing preventive effects of physical activity on depression, which has population-wide implications but requires large samples unselected for depression. The most convincing evidence to date that physical activity is associated with a reduced risk for depression comes from meta-analyses of prospective studies,5which are high quality yet still limited by the breadth of behavioral, social, and genetic confounders that cannot be fully ruled out in observational designs. Mendelian randomization (MR) is an alternative method for potential causal inference that treats genetic variation as a natural experiment in which individuals are essentially assigned to higher vs lower mean levels of a nongenetic exposure during their lifetime.11 Because genetic variants are considered to be allocated randomly before birth, they are relatively independent of environmental factors and established well before onset of disease, thereby minimizing issues of residual confounding and reverse causation that limit typical observational studies. If an exposure such as physical activity causally influences an outcome such as depression, then a variant that affects physical activity should be expected to influence depression to a proportional degree, provided no separate pathway exists by which this variant can affect depression, a phenomenon known as horizontal pleiotropy. Under these conditions, variants strongly associated with an exposure of interest may serve as proxies, or instruments, for estimating potential causal relationship with an outcome (Figure 1). In a 2-sample MR design, instruments can be extracted from summary statistics of large-scale, nonoverlapping genome-wide association studies (GWAS), which have recently become available for physical activity12 and major depressive disorder (MDD).13 Herein, we apply bidirectional MR to assess the potential causal relationship of physical activity with the risk for depression, and vice versa. Furthermore, we examine genetic instruments for physical activity assessed subjectively via self-report and objectively using wearable accelerometers. Key PointsQuestion Who is at greatest risk for developing mental health problems such as posttraumatic stress disorder (PTSD) or major depression after sustaining a mild traumatic brain injury (mTBI)? Findings In this cohort study of 1155 patients with mTBI and 230 patients with orthopedic injuries not involving the head, patients with mTBI were more likely to report PTSD and/or major depressive symptoms 3 and 6 months after injury. Among patients with mTBI, a number of preinjury (eg, prior mental health problems) and injury-related (eg, assault or other violent cause of injury in the case of PTSD) characteristics were associated with increased risk of mental health problems. Meaning Injury to the brain is associated with new onset or exacerbation of preexisting mental health problems in a substantial minority of patients; knowledge of risk factors can inform efforts at prevention, screening, diagnosis, and improved treatment. Importance Traumatic brain injury (TBI) has been associated with adverse mental health outcomes, such as posttraumatic stress disorder (PTSD) and major depressive disorder (MDD), but little is known about factors that modify risk for these psychiatric sequelae, particularly in the civilian sector. Objective To ascertain prevalence of and risk factors for PTSD and MDD among patients evaluated in the emergency department for mild TBI (mTBI). Design, Setting, and Participants Prospective longitudinal cohort study (February 2014 to May 2018). Posttraumatic stress disorder and MDD symptoms were assessed using the PTSD Checklist for DSM-5 and the Patient Health Questionnaire-9 Item. Risk factors evaluated included preinjury and injury characteristics. Propensity score weights-adjusted multivariable logistic regression models were performed to assess associations with PTSD and MDD. A total of 1155 patients with mTBI (Glasgow Coma Scale score, 13-15) and 230 patients with nonhead orthopedic trauma injuries 17 years and older seen in 11 US hospitals with level 1 trauma centers were included in this study. Main Outcomes and Measures Probable PTSD (PTSD Checklist for DSM-5score, ≥33) and MDD (Patient Health Questionnaire-9 Item score, ≥15) at 3, 6, and 12 months postinjury. Results Participants were 1155 patients (752 men [65.1%]; mean [SD] age, 40.5 [17.2] years) with mTBI and 230 patients (155 men [67.4%]; mean [SD] age, 40.4 [15.6] years) with nonhead orthopedic trauma injuries. Weights-adjusted prevalence of PTSD and/or MDD in the mTBI vs orthopedic trauma comparison groups at 3 months was 20.0% (SE, 1.4%) vs 8.7% (SE, 2.2%) (P < .001) and at 6 months was 21.2% (SE, 1.5%) vs 12.1% (SE, 3.2%) (P = .03). Risk factors for probable PTSD at 6 months after mTBI included less education (adjusted odds ratio, 0.89; 95% CI, 0.82-0.97 per year), being black (adjusted odds ratio, 5.11; 95% CI, 2.89-9.05), self-reported psychiatric history (adjusted odds ratio, 3.57; 95% CI, 2.09-6.09), and injury resulting from assault or other violence (adjusted odds ratio, 3.43; 95% CI, 1.56-7.54). Risk factors for probable MDD after mTBI were similar with the exception that cause of injury was not associated with increased risk. Conclusions and Relevance After mTBI, some individuals, on the basis of education, race/ethnicity, history of mental health problems, and cause of injury were at substantially increased risk of PTSD and/or MDD. These findings should influence recognition of at-risk individuals and inform efforts at surveillance, follow-up, and intervention. Taken together, these observations strongly suggest that mental health problems are common following a “mild” TBI and that there may be individual-specific and injury-specific factors that influence risk for these disorders. We hypothesized that factors (eg, antecedent mental disorder, prior TBI, cause of injury)23,24 observed in prior studies to increase risk for mental health and/or postconcussive symptoms, which are known to overlap with depressive and PTS symptoms,25,26 in patients with TBI would be predictive of PTSD and MDD status at 6 months postinjury, with similar risk factors observed at 3 and 12 months. 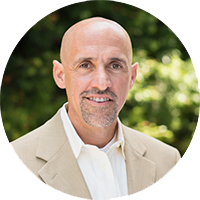 To our knowledge, few studies have been designed and powered to ascertain prevalence of PTSD and MDD and examine hypothesized risk factors in a large, prospective longitudinal study of nonmilitary personnel. Given substantial differences in the nature and context of the injuries and postinjury circumstances of military and civilian personnel sustaining mTBIs,27 additional focus on these factors in a civilian cohort is needed.